Hello again, Don Milne for Roadtrip-'62 ™ as we begin our fourteenth day of travel west on historic US-6. Yesterday, we traveled 16 miles from the east side of Cleveland, Ohio to the west side, ending at Lakewood, Ohio, though we added much more mileage around town. Today we go back to quieter rural areas but also stop in another industrial city. We may not be in Florida, but we have beaches to see. And we may not be at the Smithsonian museum, but we have history to learn. And of course, we’ll also find a few surprises. If you see anything you like, get yourself out on the road and enjoy it in person. I hope you’re having fun on this virtual roadtrip, I know I am, but there's nothing like the real thing! At any time, click on an underlined phrase below to learn more about the places on the trip. Time for me to grab the wheel and head west along Lake Erie. I didn’t have time to see it yesterday and will have to miss it today also, but the Lakewood Historical Society is someplace we could have seen in 1962, as it was founded in 1952. It’s housed in Lakewood's Oldest Stone House, built in 1838 of sandstone from area quarries. If you have the time, you will see a great selection of memorabilia from the pioneer past of the city. Before I hit the road today, I’m stopping for breakfast at The Doughnut Pantry here in Lakewood, Ohio. It’s only a couple of blocks off US-6ALT and though the building doesn’t look old enough for our trip, the donuts are classic. For our historical context, sometimes you can find what you want, just not where you want it from. Let’s buy a dozen for the road! Or, if your breakfast taste runs more to chocolates or ice cream than donuts, head two blocks west on Madison Avenue to Malley’s Chocolates. They have been here since 1949, in a building that housed America’s first all-aluminum store. Founder Mike Malley came here from Meadville, Pennsylvania, where he had worked in a chocolate store as a boy. So Malley’s has a double US-6 connection. Now we’re all stocked with goodies and heading west. At Rocky River, Ohio, US-6 and US-6ALT join back up and US-20 heads its separate way. We’ll meet it again at Fremont, Ohio, but for now we travel along the Lake Erie shore communities alone. Because Cleveland is such a big city, the small cities along Lake Erie are now all more or less suburbs of Cleveland. We will pass through several small downtowns, where we would have found small local drug stores, hardware stores, department stores, banks, theaters, grocery stores, and more in 1962. Today, many of these are closed or replaced by chain stores in plazas that were just starting to be constructed in the late 1950s. Many of the buildings are gone or vacant, or used for boutiques, offices, or coffee houses. Even large industries are gone. Because US-6 mostly runs within a block of the lake, we also pass numerous large lakefront homes, and condos. Even with the business changes though, much of the road looks similar to what it was 50 years ago because much of the road is still a two or three lane highway. This will be a slow, relaxing day too, as the speed limit is only 25-35 miles per hour most of the way. This part of US-6 is not the main road through this part of Ohio: that function belongs to the Ohio Turnpike or the OH-2 freeway a few miles south, and before that to US-20. 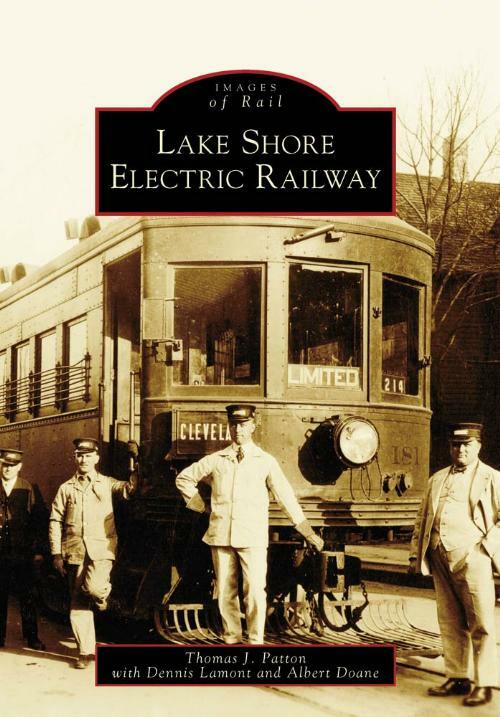 Cover of Lake Shore Electric Railway, by Thomas J. Patton. In the early part of the 20th century, there was a lot of traffic of a different type through these lakefront towns. An electric interurban railroad crossed through them all, running from Cleveland to Toledo. The Lake Shore Electric was built in 1896 and the fast, frequent transportation it offered helped lure Clevelanders to homes and local beach and picnic parks along the lake shore. They built big homes such as Washington Lawrence’s home in Bay Village. Mr. Lawrence was one of the founders of Union Carbide and began the construction of his home on the lake in 1895. Family members lived there until 1948, when it became a hospital (that’s big!). We see the remnants of that era today: after improved roads, more passenger cars, and The Great Depression forced the railroad into bankruptcy and closure by 1938. Some of the parks that developed were Avon Beach Park in Avon Lake, Ohio; Linwood Park in Vermilion, Ohio; and Crystal Beach and others between Vermilion and Huron, Ohio. Some of these were owned by the Lake Shore Electric. One of these parks survives in a modern form: Cedar Point in Sandusky, Ohio. We’ll get there today and enjoy it tomorrow! I’m going to make my first stop to enjoy Lake Erie at a small park, Cahoon Memorial Park. There is a bit of beach with a view of the Cleveland skyline and a half-mile fitness path on the north side of Lake Road (US-6). On the other side of the road is the Memorial Rose Garden, so we can also stop and smell the roses. Adjacent to this park is the Cleveland Metroparks Huntington Reservation, which features the only public beach between Cleveland and Lorain. The property was purchased for a park in 1927 and is the former summer estate of John Huntington, one of the original partners in the Standard Oil Company. Within the two parks are some bridge piers of the abandoned Lake Shore Electric railroad. The Bay Village Historical Society’s museum is also located here. Though the society was established in 1960, they did not occupy this building until 1973. It primarily has exhibits from the pioneer days of the area in the early 1800s. From here through Sandusky, Ohio, the Lake Erie shore is dotted with parks both large and small, which are just about the only places you can get a glimpse of Lake Erie. The parks all have something different. For example, Miller Road Park back in Avon Lake, has a twenty-foot tall shale cliff. Others down the road have good beaches, good hiking, good fishing, monuments, and more. I’ll be stopping at several to enjoy the beach, the lake breezes, hiking, and views before we head inland, because we won’t see this much beach again until we reach California! 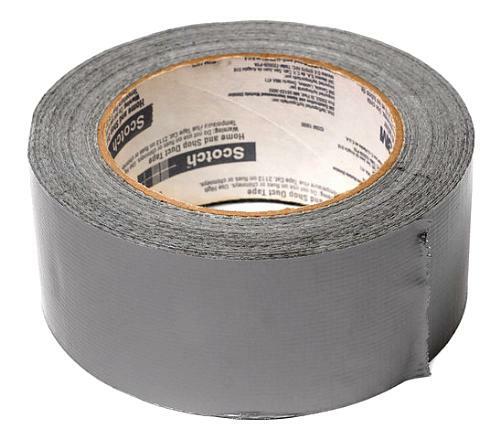 Duct tape (public domain photo by Evan-Amos at Wikimedia Commons). Of course, you have a roll of duct tape, originally known as duck tape, in your car for emergencies, don’t you? If you have Duck Tape brand tape, you’ve just arrived at its home! Avon Lake, Ohio is the current home, though Cleveland proper may have been in the 1960s. The tape itself is much older, having been originally invented during World War II by a team from Johnson & Johnson. The US Army needed a convenient way to seal ammunition cases against water, and Johnson & Johnson applied an adhesive and a waterproof coating to their medical tape. The medical tape was strips of cotton duck cloth, which had been used without adhesives since at least 1902. The new tape was a hit with soldiers, who were soon using it to repair vehicles, tents, and just about everything else. It originally came in standard Army olive drab green, but after the war it began to be used to seal heating and air conditioning ducts, so the color was changed to silver. Avon’s association with Duck Tape began in 1950, when the Melvin A. Anderson Company (Manco) of Cleveland, Ohio, acquired the rights to the tape. Specialized heat- and cold-resistant tapes were created, and another company trademarked the name Ductape, but the consumer hardware market continued to be supplied with standard duck tape in 1962. In 1975 a new owner of Manco trademarked the Duck Tape name, added a cartoon duck as a logo, and began distributing the tape in shrinkwrap so the product didn’t stick together in the stores. Different grades, sizes, and colors have since been introduced so that today there is a Duck Tape for every use. And yes, I do travel with a roll of duct tape. If you don’t have some with you for roadtrip emergencies, buy some at the next hardware store. Between the bustle yesterday of Cleveland and the busy day tomorrow at Cedar Point, today would be a good day to get a haircut. In 1962 you typically got your haircut at a two chair barber shop, often in a small hole-in-the-wall shop. There are many of these left around the country, often with a fading rotating barber light out front. We’re in luck today, as the Avon Lake Barbershop is just such a place, and it’s right on US-6. It’s a true hole-in-the-wall, as you have to go through a sort of tunnel under the second floor of the building, to the back side. The building looks like 1950s-60s architecture and is across from a power plant; just the kind of old-fashioned place for us. Maybe we can chat with the barber and learn some more about the area. Well, I discovered the power plant is on its way out, as the owner has announced it will close by April, 2015. The costs and regulations to operate an old coal-fired electrical generating plant are just getting too high, though no replacement is expected. The plant dates from some time shortly after 1925, when it replaced the original Lake Shore Electric generating station that was destroyed in an explosion and fire. The site was also the location of a resort park, passenger station, and car barn. We breeze through the town of Sheffield Lake, though there are several parks you could stop at here. I’m heading to some larger parks and our next stop will be Lorain, Ohio, an old industrial town. But one interesting site we pass in Sheffield Lake is the Shoreway Shopping Center. It opened in 1958 with 14 stores and the grand opening was such a big event that they even had fireworks! In addition to many local shops like a bakery, clothing stores, a drug store, and a meat market, Shoreway also had a Woolworth’s store and TWO supermarkets, Kroger and A&P. Time has not been kind to it though: it was partly demolished in 2009. We still see a couple of buildings and what’s left looks pretty good. If you recall from the beginning of our US-6 trip, the route is also known as the Grand Army of the Republic Highway. Sheffield Lake has a replica Grand Army of the Republic Highway sign right across from the shopping center. They had an original sign at the eastern entrance to the city for many years, but removed it to use as reference to make two replicas. We approach downtown Lorain after crossing the Charles Berry Bridge over the Black River. The bridge is the largest double-leaf bascule-style bridge in the United States and was even the largest in the world when it opened for traffic in 1940. It’s still the second largest, having a span of 330 feet and total length of 1053 feet. The bridge was known as simply the Erie Avenue Bridge until it was renamed in 1988 in honor of Charles Berry, a Marine from Lorain who was killed in the battle of Iwo Jima during World War II and awarded The Congressional Medal of Honor. There are about 1500 lifts each year, so you may need to stop for the bridge to allow a ship to pass. Wait time is about 4-5 minutes for a sailboat and 12-13 minutes for a lake freighter. It was rebuilt in 1988 and had colorful under-bridge lighting was added in June of 2007. We would have been more likely to have experienced a long wait for a lake freighter back in 1962 than today. At that time, the Republic Steel mill on the south side of town was running full out and new ships were still being built at American Shipbuilding. American Shipbuilding of Lorain was the largest builder of the large lake freighters, having constructed 5 of the 13 iron ore carriers of over 1,000 feet on the Great Lakes. It was formed in Cleveland and by 1952 was the largest shipbuilder on the Great Lakes. But as the steel industry declined in the early 1960s, the company began to diversify, building ships for the Coast Guard. American Shipbuilding eventually bought Tampa Ship & Dry Docks Co. in 1972. They expanded that production and even moved their headquarters to Tampa, Florida as Great Lakes shipping continued to decline. They closed all of the Great Lakes shipyards, with Lorain closing in December, 1983. No ships were launched during 1962, and the last ship built was the William J. Delancey in May, 1981. Part of it was built in Toledo. It was later renamed the Paul R. Tregurtha in 1990 and is still active. The former shipyard is now a pleasure boat marina and condominium development that you can reach just a few blocks south of US-6 before you cross the Charles Berry Bridge. American Shipbuilding also had facilities in Toledo, Ohio and Bay City, Michigan, two cities on our US-23 roadtrip. Republic Steel has faired slightly better, in that the plant is making steel again after several years of relative inactivity. The steel mill is part of a United States Steel facility, which stretches along the Black River on the city's south side. The steel mills have operated here since 1895, though in recent years they have only rolled and finished steel that was produced elsewhere, as the blast furnace was shut down in 2008. Republic Steel, which was bought out of bankruptcy in 2005 by Mexican steel company ICH, is constructing a new electric arc furnace to produce more than 1 million tons of liquid steel per year. As of late 2013, they have tested the new furnace. The company is already North America's leading supplier of specialty bar steel used in axles, drive trains, suspensions and other components of vehicles and industrial equipment. The driver of the new production appears to be the shale fracking boom in the oil and gas industry, which as we saw near the Ohio / Pennsylvania border. This is leading to new oil well drilling, pipelines, and lots of new equipment. Even after the new furnace is producing steel, we probably will not see the iron ore freighters on the Black River like in 1962, because the plant will instead melt scrap metal, recycling it into fresh steel. Because the lake freighters seldom call at Lorain anymore, the old Lorain Lighthouse at the north end of the West Harbor Breakwater will likely sit with its light out, as it has since about 1977. This was a busy harbor in the 1950s, with one former lighthouse keeper estimating that the lighthouse received over 60 distress calls a month in that decade. The Coast Guard decommissioned the lighthouse in 1965 and intended to demolish it during a harbor improvement program. It was to be replaced by a fully automatic light on the west end of a new outer harbor breakwall. Instead, it remained vacant for a decade and was finally sold to the Lorain County Historical Society in 1977. The Port of Lorain Foundation bought the Lorain Lighthouse from the Lorain County Historical Society, after many years of repairs. Congress passed an appropriation of $500,000 for the repair of the foundation in 1991. It is currently open for scheduled tours only, which include a boat ride out to the lighthouse. Of course, large industrial complexes like a steel mill leave behind a lot of polluted land when they close. Parts of the steel mill complex have been demolished and to-date over 2,700 tons of contaminated material has been removed. Steel slag is stockpiled on-site and will be recycled. The U.S. Fish and Wildlife Service has provided a grant for this work as part of a project to restore native riparian habitat along the Black River. Clean topsoil was then placed along with native seed, over 450 native trees, 1,070 native shrubs, and 1,300 native herbaceous plants. So, while we can still see parts of the plant, we won’t see the coal piles and iron ore piles that we would have in 1962. I suspect a similar project will take place on the Lake Erie shore, because the former FirstEnergy Edgewater power plant was demolished there in 2010. This was another old, coal-fired electrical plant. It was constructed in 1919, retired in 2002, and was the company’s oldest operating plant. Being on the lake and full of coal dust, it seems a natural for a giant remediation project. So far, we’ve driven past several sites of demolished buildings, so maybe it’s time to look at some places that are still operating as they were in 1962! One such place is the Palace Theater, here since 1928. We’ve found many old theaters that have suffered the slow decline of the years, but the Palace is different because it never closed. It has been operating continuously; commercially until 1977 when the Lorain Civic Center Committee purchased the building. They continue to operate it for movies, live theater, special event and meeting space, and concerts. Its Wurlitzer pipe organ is one of only four remaining in Ohio theaters. I won’t be here for an evening movie or concert, but if you are, check it out. Something I could do now is to bowl a game at Rebman Recreation. Rebman’s has been a family owned bowling center since 1946, so it fits our agenda. Something else we could do is go walleye fishing. Walleye are a large predatory fish native to Lake Erie. They can not only be found in the lake, but also upstream in several of the larger tributaries to the lake, such as the Black River. I’m guessing you could always have fished in the river or perhaps off one of the old harbor walls, but your choices are now much improved over 1962. The city of Lorain has a 25.5 acre Public Fishing Pier park. It provides access to both the Black River and Lake Erie inside the harbor. Access starts near the foot of the Charles Berry Bridge, with a concrete, handicap-accessible bulkhead extending over a half-mile along the river and north into Lorain Harbor. The pier’s mid-section is now a wetland with grasses, though it used to be the site of the city’s Hulett Automatic Ore Unloaders and iron ore piles. I suspect you can find a bait shop somewhere nearby. After some fishing time (no, I didn’t catch anything), I guess it’s lunch time. I looked around for a Lorain restaurant that was in business back in 1962 and even asked Lorain native Dan Brady, but he couldn’t come up with many. The closest he had was Terry’s Dairy, which was the Lorain Dairy Queen back in 1962. It had the same owners for 40 years but it went out of business during the past year, auctioning off the equipment just before I wrote this. I also found there used to be a Howard Johnson’s here, next to the Erieview Motel on the west side of town. It’s now Chris’s Restaurant, but you can see the old Howard Johnson’s building shape complete with orange roof, cupola, and the old sign (reused) out front. But since I can’t get that classic HoJo food anymore, I’m going to have another picnic, this one at Lakeview Park just west of downtown. If you want to do that, it might be wise to stop at Fligner's Market for supplies. It’s been in downtown Lorain since 1924, evolving from a neighborhood grocery to now boast “The Longest Full Service Meat Counter in the United States.” They have their own meat packing plant to control quality, buying beef and pork from local Ohio farmers. And in addition to meats, Fligner's offers one of the largest specialty foods departments in northeast Ohio. They have foods from Poland, Italy, Mexico, and even Macedonia. I’m grabbing some pastrami, cheese, and homemade potato salad from the deli, and maybe a pie from their in-store bakery for dessert. On to Lakeview Park to eat! Lakeview Park has been a favorite picnic area since the 1920s, and the lake breezes must be one reason. Enjoy them while you eat, then take a walk to view the bathhouse. The current building uses the design of the historical 1917 building, including retaining the original concrete arched columns on the lower level. Have a swim before you leave or enjoy the Rose Garden. This was originally dedicated in 1932 and is shaped like a wheel with 8 spokes - the Rotary Club emblem - because the club was a major sponsor. It’s much larger than the rose garden we saw this morning, having approximately 2,500 roses in 48 beds. As with many historic gardens, it had deteriorated, but was completely renovated in 2005. Lakeview Park also has a giant concrete Easter basket that is filled with 75-pound concrete eggs for the holiday! The basket was constructed by city parks’ mechanic Dave Shukait from an idea of George Crehore, the city parks superintendent, in March, 1941. It was built at the city garage and hauled to the park on road grading equipment. The basket is over seven feet high and 10 feet long. It was painted its current colors in 2010, just in time for Easter. The moat and fountain that used to surround it were no longer working that year, though the adjacent tulip garden we would have seen in Lakeview Park during the 1950s has been replanted. On our way out of town after enjoying the park, we pass Jack and Diane's Lounge, which is the site of what was the Lake Shore Drive Restaurant from 1957 to 1962. It went through many name changes before acquiring its current name around 1999. It’s directly across from the site of the former Lorain Drive-in theater, so this end of town must have been the place to go in our favorite year. The drive-in has been replaced by some apartment buildings and a storage rental business. From here west to Sandusky, Ohio, we’ll see the remnants of what was a flourishing resort area in the 1950s and 1960s. The highway becomes a 4-lane road now, perhaps because of the higher weekend traffic it used to see. There are old trailer parks, cottages, and motels along with empty or repurposed buildings for restaurants and all the other businesses that went along with weekend travelers. Fewer people today choose to spend a few days off soaking up the lake breezes, playing on the beaches, and staying in a cottage smaller than their living room. Marinas are flourishing though, as evidenced by our passing one or two at several rivers emptying into Lake Erie. As we cross Beaver Creek, a railroad comes up beside US-6, between the highway and the lake. It follows along, cutting off development and our views of the lake until US-6 moves inland a few blocks upon entering Vermilion, Ohio. Speaking of railroads, while many areas of the country are turning tracks into trails, Vermilion's train traffic continues to increase. In fact, there has been a threefold increase since 1997, making the city a railfan’s paradise! There are three historic train depots providing loads of great photo opportunities of at least five trains roaring through town every hour. Plus, a rail-viewing platform in the historic "Harbour Town" district at Victory Park. The platform features a deck, benches, railfan information, and radio. Rotary Centennial Park overlooks the Vermilion River, providing another train watching location, and features an historical marker commemorating Vermilion's railroad history. And even though traffic is much higher than 25 years ago, it was undoubtedly high in 1962. The only reason you have three stations in town is to serve a lot of trains. Today we see Norfolk Southern, Amtrak, and CSX trains, but 50 years ago we would have seen New York Central and Nickel Plate. You can also see a bridge abutment remaining from the old Lake Shore Electric Railway where it crossed the Vermilion River. Besides railroads, Vermilion has been a great place to see Lake Erie history. The Great Lakes Historical Society was founded here in 1944 and since 1945 they have published the award-winning quarterly journal, Inland Seas™. This publication is the longest running and most widely respected journal of Great Lakes history. Building on that, in 1953, Commodore Albert Wakefield donated his Lake Erie home to Bowling Green State University, who then leased it to the society for a permanent home for their museum. We could have visited in 1962, but the Inland Seas Maritime Museum is closed now, preparing for a move to Toledo next year. When they open there, the new National Museum of the Great Lakes will include the museum ship S.S. Col. James M. Schoonmaker. Between 1962 and now, they expanded the museum in Vermilion in 1968 and added a replica of the Vermilion Lighthouse in 1992. Vermilion is still a place to see boats, though today it’s small pleasure craft. The Vermilion River provides marina facilities with more than 1,000 boat slips and ramps, earning the city the title of the “Largest Small Boat Harbor on the Great Lakes.” Two of the older marinas in town were there to serve you in 1962. Romp's Family Fun Marina has been family owned and operated since 1957. They have grown to become a full-service marina with Putter-Port Mini Golf, and the Dairy Dock ice cream shop. In typical ice cream shop fashion, it closes for the winter in September. Nearby Moes Marine Service is also a family-owned and operated full-service marina. It was founded in 1938 and their specialty today is the repair of wooden boats. They have boats for sale, in case you didn’t bring your own on this roadtrip! What interests me most about these is Romp’s Putter-Port Mini Golf. I love mini-golf and haven’t played for awhile on this trip, so let’s have a game. I don’t know how old their course is, but it’s the old style, flat, concrete course instead of a modern one with waterfalls. So even if it’s not as old as 1962, it has that classic style and even an old metal loop-the-loop hazard! Canoeing or kayaking the Vermilion River is also popular. It’s an interesting trip because of the rich iron-ore colors staining the blue-gray shale cliffs of the Vermilion River gorge. That orange (vermilion) of the iron ore in local clays also colors the river during heavy rains and is what gave the river its name. The river also has no industry along its banks, making it especially rich in wildlife. The river is now part of a water trail from the Vermilion River Reservation south of town to the Black River Reservation in Elyria, Ohio. The Vermilion River Reservation is a perfect place to put your canoe in the river, as it has been part of Lorain County Metro Parks since 1957. And its Bacon House was opened in 1962 with the help of the Lorain County Historical Society. If you’re like me and didn’t bring your own canoe or kayak, there are rentals available in Vermilion. I don’t know if there were in 1962. But I’m heading down river anyway: see you in a couple of hours! Some folks say that Vermilion resembles a seaside community with New England style atmosphere. So it may remind you of the Cape Cod area back at the beginning of US-6. The Cottages at the Water's Edge, west of town, fits right in with that, down to the hydrangeas planted on the property. The place sits on a bluff above Lake Erie, and includes a private beach down a set of stairs. This resort has been here since 1953, originally operating as Miller’s Sandy Beach Cottages through the 1962 season. There are very few Lake Erie cottage businesses left in the area. Before we leave town, I’m going to stop in to another bit of quaint history: the Vermilion Print Shop Museum. It’s in a building that served as a print shop and a weekly newspaper from 1905 to 1964. Its mission is to allow the general public an opportunity to observe how 19th and 20th century newspaper publishing and book, magazine, and poster printing was accomplished. The small museum houses equipment from its days as a print shop, including linotype machines, letter presses, and book bindery equipment. Our route moves back along the lake at the west side of town, allowing us a few more glimpses of beach as we travel past lakefront homes, trailer parks, and condo developments that fill the spaces once occupied by tourist cottages. One more beach we could stop to is Sherod Park, right next door to a trailer park. US-6 also becomes a two-lane road again, as we pass through the last part of the Lake Erie vacation area we will see. Another remaining feature of the resort atmosphere is the Vermilion Country Club. This course has been here since 1920 and features small, “push-up” greens. If you are in need of a game of golf just like you could have played in 1962, this 9-hole course may be the place to stop. We’re heading to Huron, Ohio, which seems an odd name for a town on Lake Erie and not Lake Huron. Huron is at the southern most point of the lake. If you want to see it from home, try this webcam view from LakeVision. The view is seldom exciting, but you can see lake conditions in realtime. Before we get to Huron, we’re stopping for a hike at Old Woman Creek Reserve. It’s one of the state's few remaining examples of a natural freshwater estuary. It includes some nice trails with boardwalks and a visitor center with interactive exhibits. Estuaries have often been thought of as the places where a freshwater stream enters a saltwater ocean, but the idea is similar here. Freshwater estuaries are usually locations of a drowned river mouth, meaning the river used to flow farther out but rising lake levels have flooded the river upstream into a wetlands. This also creates a zone where lake and river waters mix. This is another phenomenon related to melting of the glaciers of the last Ice Age throughout the Great Lakes region. You can get a quick view of the creek and wetlands from the bridge as you drive by, if you don’t want to stop. The reserve’s laboratories provide space for studying water quality and other types of research and monitoring projects. While I suspect the reserve was not established by 1962, the natural landscape of estuary, Old Woman Creek, and Lake Erie barrier beach have been here for thousands of years. Let’s hike around the reserve awhile. If your taste for nature runs to fishing instead of hiking, Huron is also the place for you. The city is known as the Walleye Capital of the World, offering walleye fishing from March to December. Perch, smallmouth bass, catfish from the bank of the Huron River, and muskie upriver are also good fisheries. If you didn’t catch anything back in Lorain, you can make up for it now. One marina that could have served you both in 1962 and today is Huron Lagoons Marina. It’s a family owned and operated marina that began in that year. Their first brochure shows only marina facilities and that they sold Gulf marine fuels - their restaurant was built later. In addition to boating on Lake Eire, you can cruise over eight miles of the scenic Huron River. Huron is also where we will end our day, so fish as late as you want. 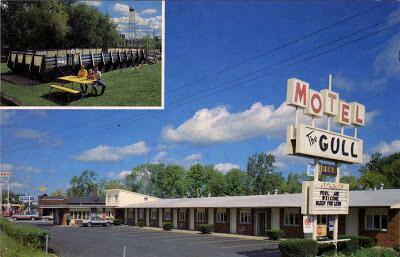 Many smaller old motels have remained here because they are close enough to Cedar Point, which we will see tomorrow. Just a few are the Parkway Motel, Plantation Motel, River's Edge Inn, and the Gull Motel, which I will try on the recommendation of a local. The Gull Motel also opened in 1962, and has undergone a few changes since then. Plus, you have the Pied Piper Drive-In for ice cream across the street, and Berardi's Restaurant just over the bridge to the east. Unfortunately for the ambiance at the Gull Motel, the vintage sign has been replaced by a much shorter and plainer sign due to the city’s sign ordinance limiting the height of commercial signs. The owner says the original sign is still down in the motel's basement though! Speaking of Berardi's Restaurant, they opened in Huron in 1979, but it’s actually not too new for us. They were previously located within Cedar Point Amusement Park, where they had been serving french fries on the midway since 1942. They had to move out because the park took over all private concessions. While Berardi's was there they served over two tons of potatoes per day, peeling them by hand. Today they also have a location in Sandusky. Maybe I’ll try the Lake Erie Yellow Perch, but I’ll be sure to get some fries with our meal tonight. If you drive down to the harbor after dinner, you can see the same large vacant parcels of land we saw in other cities today, where industries have been demolished. The ConAgra grain elevator was demolished by implosion in 2012, which you could have seen from the Gull Motel. The Wheeling and Lake Erie Railway retired their coal and iron ore docks in 1962, though it appears someone else operated them much later than that. The ore piles are gone but the land still has the color of iron dust. The only industry still here is a stone and/or salt dock. After dinner, we have time to do something before the sun goes down. Good choices here are the Sheldon Marsh State Nature Preserve or the Sandusky Speedway. Sheldon Marsh State Nature Preserve is just west of town and comprises some of the last remaining undeveloped stretches of shoreline in the region. It’s a favorite bird watching spot, attracting nearly 300 bird species. Many of the birds stop to rest and feed before crossing Lake Erie. In spring it’s also a great wildflower location, displaying dutchman's breeches, spring beauties, trout lilies, trilliums, and more. The preserve was established in 1979, which makes it too new for us, though like the Old Woman Creek Reserve, the landforms have been here a long time. But I suppose I should try something different tonight; something we could have seen in 1962. So that means a 9-mile trip over to Sandusky, Ohio and the Sandusky Speedway. This half-mile track opened in 1950 and features long straightaways. It was paved and had a steel grandstand added in 1955. It was briefly affiliated with NASCAR twice, but is not at this time. If you were unfortunate enough to have come during the 1970 season, you would have found it closed. That was the only year it missed since opening. If you would rather see wildlife and leave a racetrack for another day, there is the Freemont Speedway coming up in a day or two down Roadtrip-‘62 ™ . That’s enough excitement for today. I’m going to bed to a nice relaxing video for the end of a mostly relaxing day. How about "Venus In Blue Jeans" by Jimmy Clanton. This 1962 song peaked at #7 on the Billboard charts in October. Tomorrow: more excitement at Cedar Point!